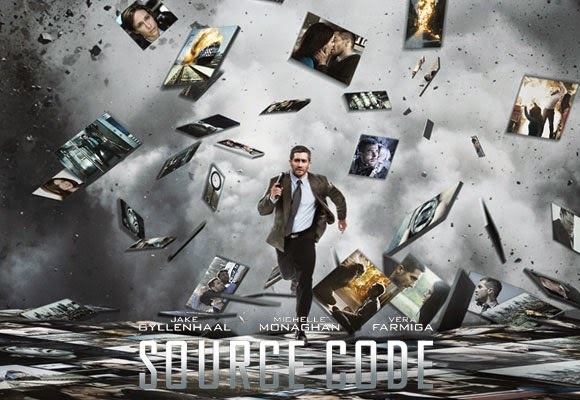 Source Code is a great movie, in my opinion. Jake Gyllenhaal is fantastic in the movie and carries it well. Duncan Jones does a great job directing and while the story itself isn't overly original, it does introduce some new ideas and concepts. For those who have not seen it, it revolves around a man, Gyllenhaal, who wakes up on a train, not knowing how he got there. The train then explodes. He wakes up next in a room where he is informed that he is an a source code, where he lives out the last eight minutes of one of the train's passenger's life. Gyllenhaal must go back to the train over and over again to figure out who the bomber is. It's a very well done movie that actually has a lot of heart. If you haven't seen it, I highly recommend it. Now, it's being said that a Source Code 2 is in development. The biggest problem I have with this is where do you go with the story? I won't spoil the ending, but the movie wraps up the story pretty well. I don't really know where they could take the story. But that's why I'm not the screenwriter. I have said before that I really like Gyllenhaal and if they get him back I'm on board (pun intended). They don't need Jones back to direct, but it'd be good if they could get him back. Overall, I'm game for another chapter in this story. What do you think? Did you like Source Code? Are you interested in a Source Code 2? Leave your thoughts in the comments section below.